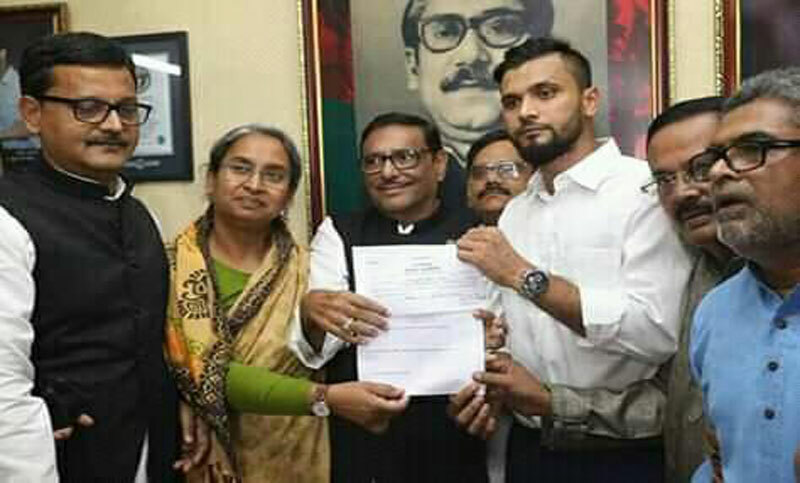 Bangladesh ODI captain Mashrafe Bin Mortaza collected nomination form today from the ruling Awami League to contest in the upcoming 11th parliamentary election from Narail slated to be held on December 23 this year. He collected the nomination paper from AL’s election conducting office in Dhaka’s Dhanmondi around 1:30 PM today. Earlier in the day, he went to Gono Bhaban around 11:30am and took blessings from Prime Minister and also the Awami League President, Sheikh Hasina, before collecting the nomination form.